Cardiff & Miller, The Marionette Maker, 2014. 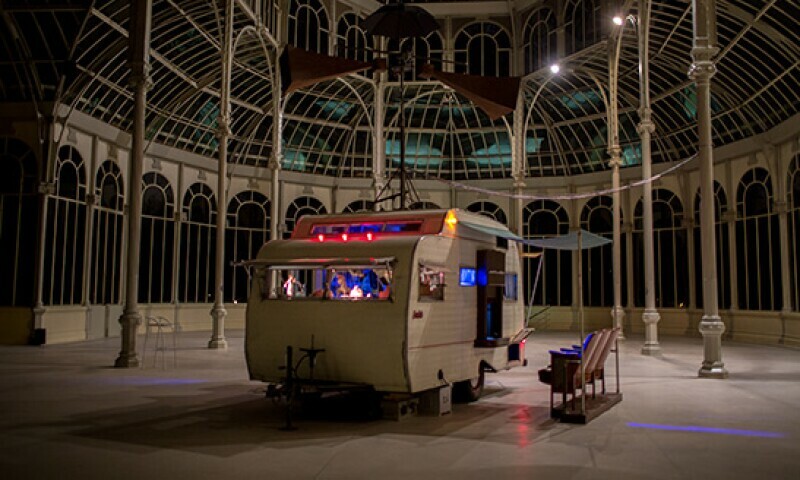 The Museo de Arte Contemporáneo de Monterrey presents Cardiff & Miller for the first time in Mexico, an exhibition that brings together one of the largest groupings of work that has been exhibited in a single place by the Canadian artists, Janet Cardiff (b. in 1957, Brussels, Ontario) and George Bures Miller (b. in 1960, Vegreville, Alberta) internationally recognized for their particular and emblematic art based on a broad study of sound as a medium and component of their projects. The use that they make of the narrative and the sound effects are translated into sensorial works that lead to different moods playing with the surprise factor. Technology is also a fundamental part of their work, but they use it as a medium to obtain personal objectives and experiences to create a surprising and disturbing reality that simulates the very nature of space and includes unexpected elements of sound, light and visual character.